If you like strategy games, chances are you’ve played tower defense (TD) games. Addictive to the core, tower defense games have an easy learning curve and are fun to play. Those who are new to this genre won’t have to worry about going through lengthy walkthroughs because the title is fairly self-explanatory – players have to place towers (or turrets) to defend their base against waves of enemies. The towers are defensive structures equipped with the latest ammo that eliminate any creep that tries to infiltrate the base they are defending. PC tower defense games are more fun and addictive on a laptop than on an Android or iPhone smart phone. The main advantage is the screen real estate. There are some great TD games for the PC and each game offers strategic depth by adding new features to the gameplay. These games offer plenty of options to make gameplay more interesting and give gamers a chance to play at their own pace. We will start with the most popular online and downloadable tower defense games released for the PC platform. You will find some of the best fixed-path and open field TD games offering plenty of gameplay twists and surprises. Most of the games mentioned here have kept the traditional TD concept intact, but have sprinkled in additional features to enhance gameplay. Tower defense games have come a long way since Desktop Tower Defense. Game developers have introduced impressive gameplay features to offer a more satisfying and addictive strategy gaming experience. Titles such as Plants vs. Zombies, Bloons and Immortal Thrones are some great examples of modern TD games. If you want to know more about the gameplay features of these games, then I would recommend these in-depth reviews. Every tower defense game reviewed has its own unique theme and features, but the standard TD gameplay concept is well preserved, so you can expect lot of fun placing towers and zapping down waves of creeps. What’s New in Plants vs. Zombies 2? A key gameplay aspect of a tower defense game is strategy, and modern tower defense games released for the PC offer plenty of ways to develop your own defenses against formidable enemies. While fixed-path games don’t give too much freedom, they do provide a wide range of tower upgrades and power-ups to ensure that players will make the best use of the defensive structures to stop creeps from attacking their base. Each tower defense game, be it fixed-path or open field, has its own set of defensive structures that allow players to plan their defense before enemies start attacking in waves. We have some great strategy guides and tips for you and we hope you will get additional hints to achieve victory over your enemies. PopCap’s smash hit tower defense game is one of my favorites because it is unique, charming and offers plenty of gameplay variety. 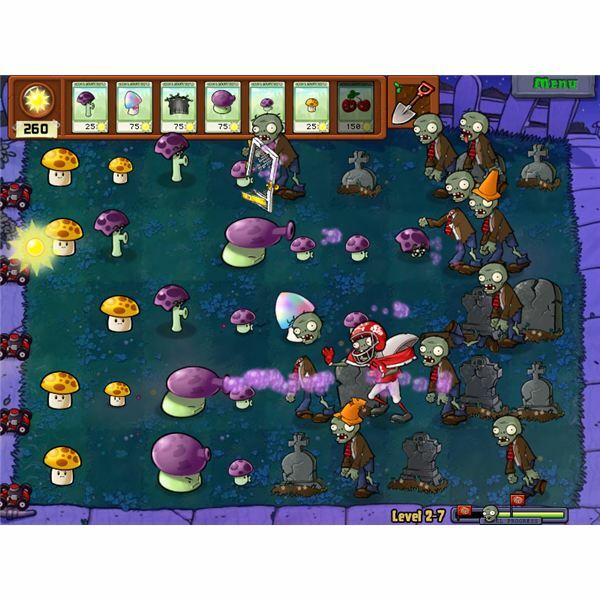 Plants vs. Zombies was released at the time when TD clones released for the PC and iPhone were considered quite boring. They did not offer anything new or unique, which is why PvZ became instantly popular, thanks to its out-of-the-box theme and several gameplay enhancements. The variety of mini-games it offers is fun to play and never fails to entertain players. Bright Hub has a huge collection of the best Plants vs. Zombies game guides, defense strategy tips, walkthroughs and tips to play mini-games, including the incredibly fun and addictive Tree of Wisdom. You will also find out how to make gold or how to beat the first level with these strategy guides, tips and hints. Addicted to Plants vs. Zombies, Defense Grid or Bloons Tower Defense? Do you have your own strategy guide for these games that you want to share with us? Do leave a comment if you have any tips, suggestions or questions.